We are the first retailer of Switzerland dealing exclusively with the art of the movies. After more than 100 years the movies have lost none of their magic and a visit to the cinema is still an event. The movies are timeless and popular with all sections of society and look certain to remain so over the coming decades. 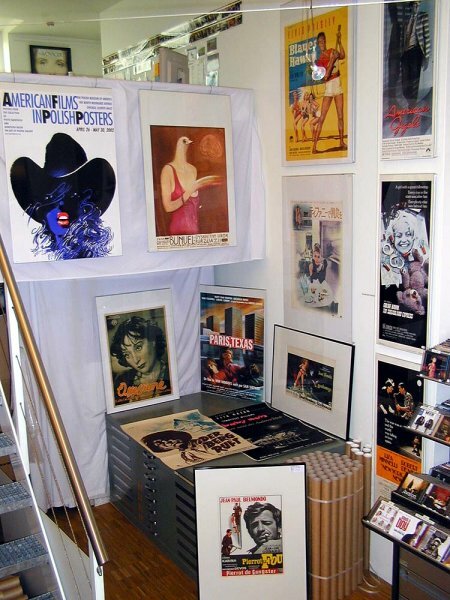 Our stock consists of posters from recent films but we also have a wide choice selection of vintage posters for the collector, mainly from France, Italy, Germany and Poland. All in all more than 6000 posters are available, both on our website as well as in our gallery locted in downtown Zurich, Switzerland. Now you can see Marcel's store!! !